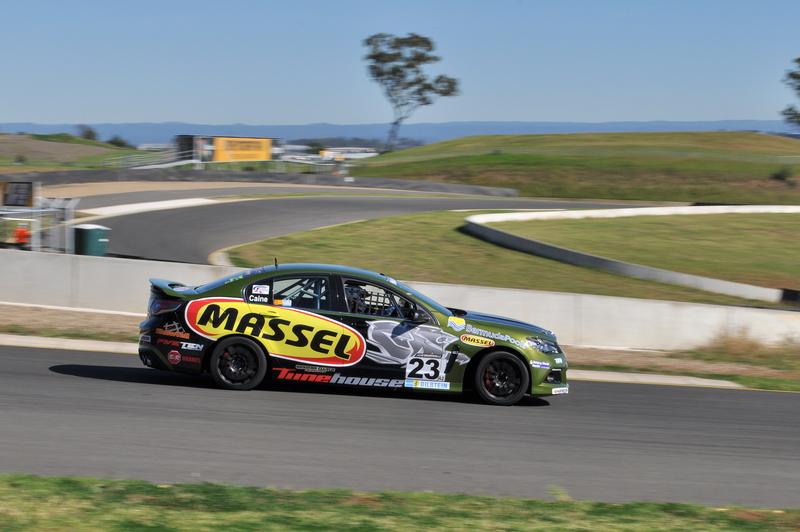 It’s been a long season of racing, that’s taken Mark Caine from Goulburn, to Lakeside and onto Sydney Motorsport Park, but the Showtell Racing pilot has officially reached his off-season, with the end of the 2017 Shockwave Signs NSW Production Touring Car Championship, which ended with three sprint races at Sydney Motorsport Park last weekend. 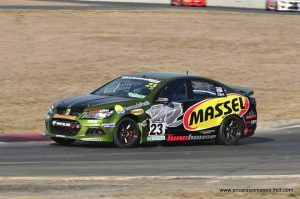 He debuted a new car at the start of the campaign in Goulburn, and with continued development, and help from his crew, he fast became a car to watch in this championship. For Caine, it was six rounds, across three different circuits, in a season full of highlights, that will see Caine walk away with plenty of silverware for his efforts. Outside of his Production Touring campaign, Caine also joined forces with Jimmy Vernon, to take Vernon’s Shockwave Signs Motorsport Toyota 86 to second in class D, at the Hi-Tec Oils Bathurst 6 Hour, at Easter. After leading the class for much of the weekend, a green flag pit-stop saw Caine and Vernon lose the lead to Caine’s 2016 co-driver, Chris Reeves. who was gifted the opportunity to complete his final pit-stop during a late-race safety car period. 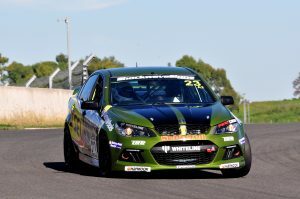 Reeves’ co-driver, Chris Sutton resumed with a handsome lead, which he held until the end, but not without a strong fight by Caine, who closed to within six seconds by the end of the six-hour journey. 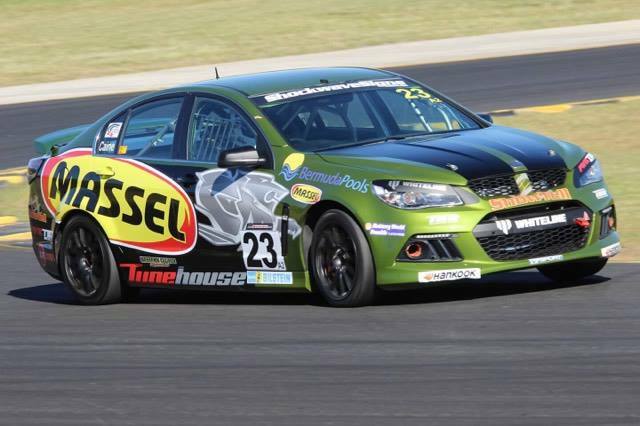 After Bathurst, Caine’s focus returned to the season-long campaign in his Class A2 Clubsport breakthrough win at Sydney Motorsport Park in April was a big talking point, Caine’s greatest achievement this season was when he secured the MoComm Cup at Wakefield Park in August. 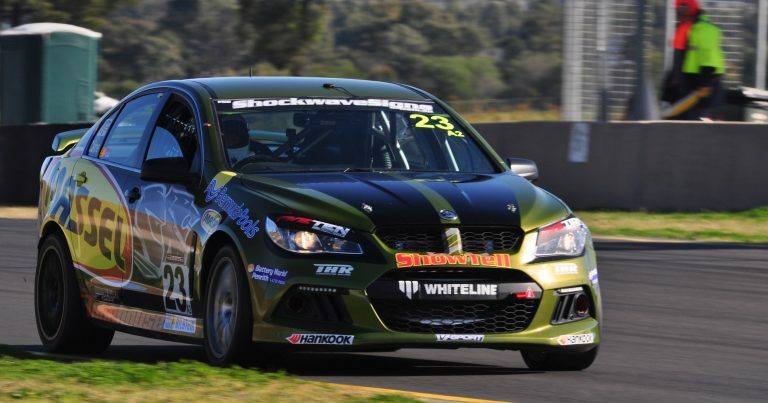 Finishing third outright, and first in class, in the last round of the endurance portion of the season, was more than enough for Caine to win the first piece of silverware up for grabs in the 2017 Shockwave Signs Production Touring Car Championship. 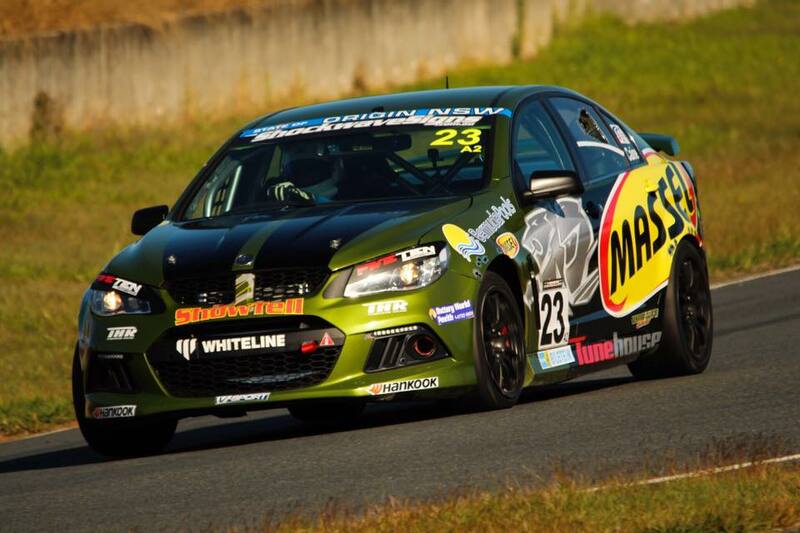 Caine secured first place in class, amid controversy, at Lakeside Park, in the opening enduro of the season, and backed that result up with second in class at Sydney Motorsport Park. Going into the final MoComm Cup round at Wakefield Park, Caine held a seven-point lead, in the outright battle, over Class A1 competitor, Greg Symes. 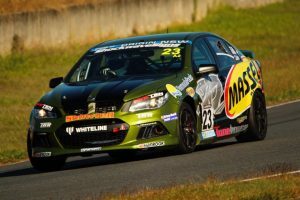 The lead was acquired through Caine’s superior results in the Saturday sprint races across the campaign, and a faultless weekend at Wakefield Park saw him walk away victorious. With points awarded based on where drivers finish within their class, it was important that Caine not finish lower than Symes did within Class A1 across the course of the final enduro. Caine matched Symes in every session except Qualifying. 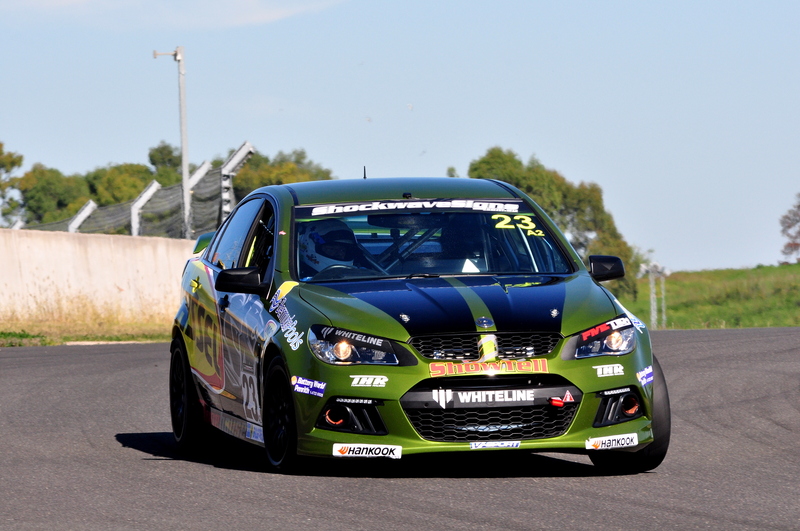 Symes was the third fastest A1 car in his qualifying session, while Caine was the fourth fastest A2 car. Luckily for Caine, no points are awarded, outside of pole position, in that session. In Race 1 of the weekend, Symes and Caine finished third in their respective classes. It’s important to note that Symes was co-driving with Aaron Seton, and therefore took part in the ‘Driver B’ sessions across the weekend, leaving Seton as the main driver. 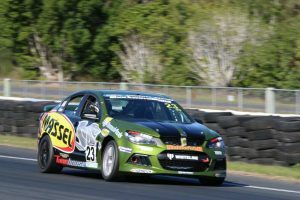 Symes and Seton cruised to outright victory in a thrilling race on the Sunday morning, as Caine edged out Matthew Holt and Rodney Thorpe for the victory in Class A2, and came home in third position outright, therefore maintaining the lead he held coming into the round, and winning the championship by six points. Caine started well, settling into fifth position, and staying there until lap 12, when he displaced Trevor Symonds. Once he claimed fourth spot, Caine eased through the next portion of the race without losing, or gaining, a position, before pitting for the compulsory stop on lap 22. Upon resumption, Caine was sitting inside the top five on corrected order, as those ahead of him were yet to visit pit-lane. 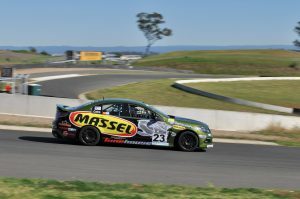 A frightening crash for Josh Muggleton saw the Safety Car deployed in the final quarter of the race, bunching the field up, and putting Caine right on the tail of Rod Thorpe, who was leading Class A2 at the time in Matt Holt’s VF, for the resumption of racing. Off the restart, on lap 45, Caine pounced on third place, displacing Thorpe, and claiming the lead in Class A2 in the process. 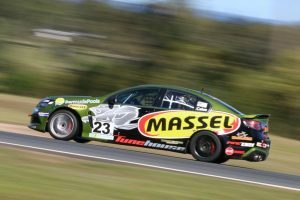 Caine would go on to claim third position outright, first in class, which was more than enough to clinch the 2017 MoComm Cup over Greg Symes. 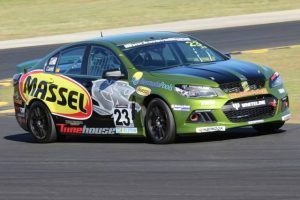 With the MoComm Cup secure, Caine’s attention moved to the Club Championship, where he remained in outright contention, going into the final round of the season at Sydney Motorsport Park. Although a long shot, Caine was still a mathematical chance of winning the outright championship, but getting past Adam Gosling was not going to be an easy task, especially when faced with competition like Matthew Holt, Trevor Symonds and Rodney Thorpe. Caine was consistent throughout the weekend, putting in a solid performance, but with finishes of 4th in Race 1, and 2nd in Races 2 and 3 (in Class), he fell just short of claiming his second outright title of the 2017 season. Caine walks away as the Class A2 Club champion for 2017, and also finished fifth in the outright state championship. Due to overseas commitments, Caine will miss the final PTC weekend of 2017. He was originally scheduled to compete in the two one-hour races that make up the final round of the inaugural Bilstein Suspension QLD Production Touring Car Championship at Queensland Raceway, but that now won’t happen, leaving Caine to focus his energy on the 2018 season, where he’ll no doubt be looking to build on the fabulous season that was 2017. 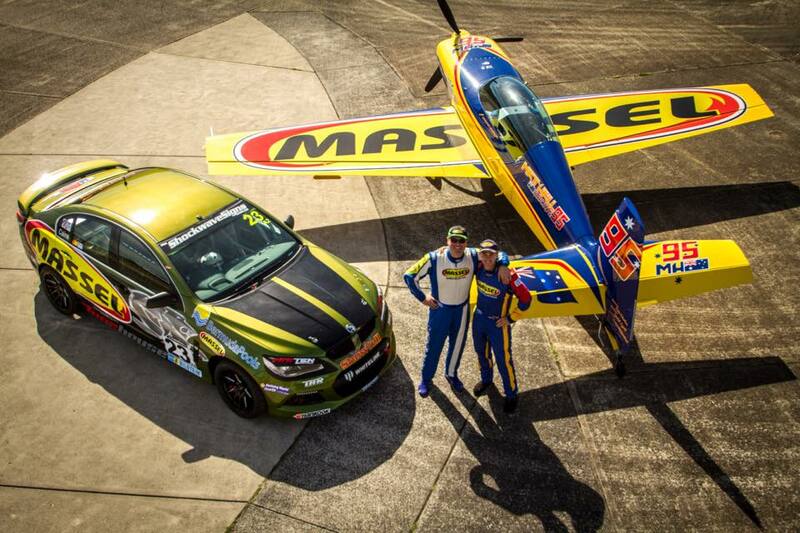 Prior to winning the MoComm Cup in Goulburn, Caine took part in a promotional shoot for Massel, and put his Clubsport up against the Massel-backed Red Bull Air Race World Series pilot, Australia’s own Matt Hall, who is also sponsored by Massel. 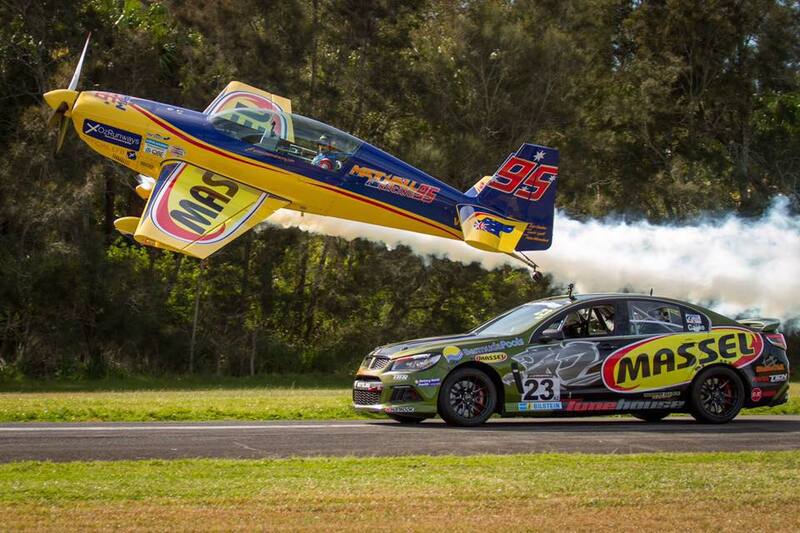 Hall – twice runner-up in the World Series – was back on Australian soil, between rounds, for the promotional stunt, which took place at the Lake Macquarie Airport. Fellow Massel backed racer, Jimmy Vernon also joined in the fun, which saw Caine and Vernon in a runway showdown against Wall in his aircraft. 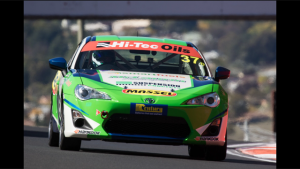 Vernon currently leads the Toyota 86 Racing Series, teamed up with Caine for second in Class D at the Hi-Tec Oils Bathurst 6 Hour earlier this year, and also finished runner-up in the Shockwave Signs Production Touring Car Championship, to fellow Class D competitior, Daniel Smith. Hall currently sits fifth in the Red Bull Air Race World Series, heading into the final round of the year, which takes place at the Indianapolis Motor Speedway in Mid-October. As for Caine, he’s already into his off-season, but the work continues behind the scenes, ahead of what’s sure to be another big year in 2018. 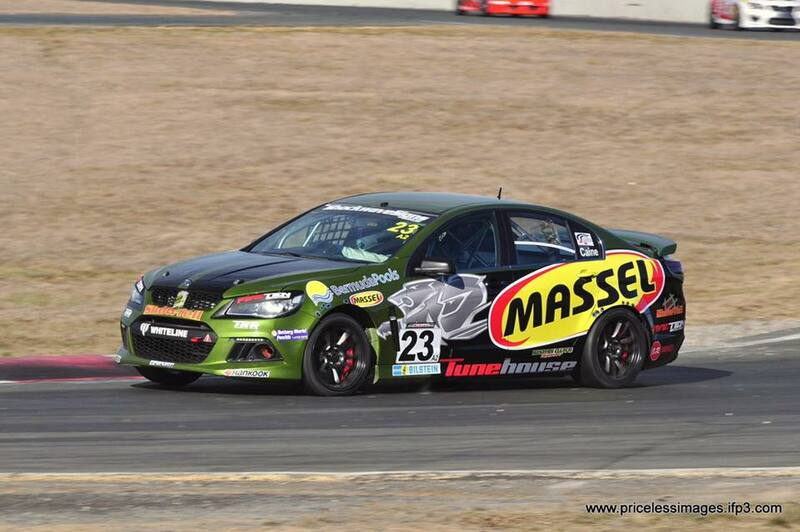 Showtell Racing is proudly sponsored by: Massel- quality you can taste, Bermuda Pools, Tunehouse Racing, LA Racing Lubricants, B&R Brakes, Whiteline suspension, Bell Helmets, Battery World Penrith, Western Clutch, and Five-Ten Automotive.